There were a quite amazing 13 world champions hailing from the UK at the close of last year, while this year, as 2017 reaches its end, the number has more than halved; with six men from these shores holding a legitimate world title. But this is not a reflection on a poor year for British boxing insists promoter Eddie Hearn. Last year, top names Carl Frampton, James DeGale and Kell Brook, to name three of the then reigning British world champions who have since lost, all seemed set for a long reign. But Frampton lost his featherweight crown to Leo Santa Cruz in their rematch (fight-three still set to happen, we hope), Brook lost his welterweight belt to Errol Spence (no rematch needed here) and DeGale, in what many have said was The Upset of The Year, was dethroned by huge underdog Caleb Truax, losing his super-middleweight title (a rematch is very likely here). Of the world champions that kept their belts this year – even picking up an additional title in the case of two of the six current world champ’s from Britain – some have become huge stars. The six men who hold world titles are: Anthony Joshua (heavyweight), George Groves (super-middleweight), Billy Joe Saunders (middleweight), Lee Selby (featherweight), Kal Yafai (super-flyweight) and Ryan Burnett (bantamweight). All six face a potentially great 2018, while Frampton, DeGale and Brook are all set to try and regain their former glory and status. Hearn, in speaking with ESPN, says the main reason these fighters lost is because they all fought in great, great fights against the best. So can Joshua, Groves, Yafai, Burnett, Selby and Saunders keep their belts throughout 2018, and can Frampton, DeGale and Brook rule again? Who will regain their world championship status? 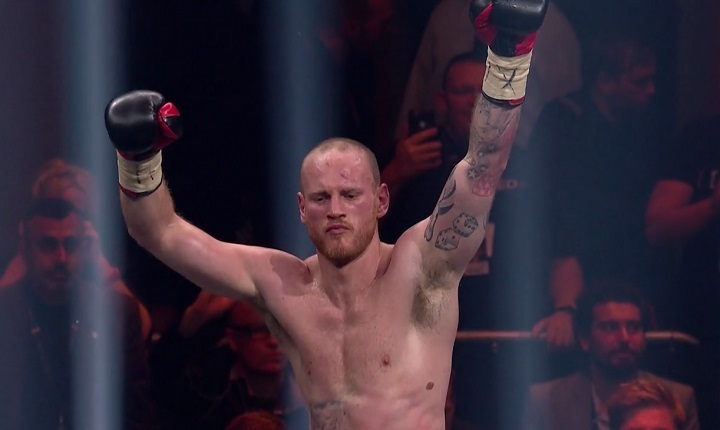 But either way, British boxing is booming and British fighters are constantly proving how they are unafraid to fight the best of the absolute best. Next boxing news: Klitschko, Ward, Bradley, Cotto: They all retired this year, but which great will you miss the most?